From Construction Worker to Tailor! Srey K has been learning tailoring basics as part of a vocational training program in Siem Reap. We contacted the sewing school and managed to get her on their new course where she’s already spent 1 month learning the basics in measurement, cutting and patterns. Srey K is on a 6 month course which will prepare her for either self-employment as a tailor, or higher employment in Siem Reap, ensuring she can support her family in the village, especially her younger siblings (she is one of 8) who are still at school. 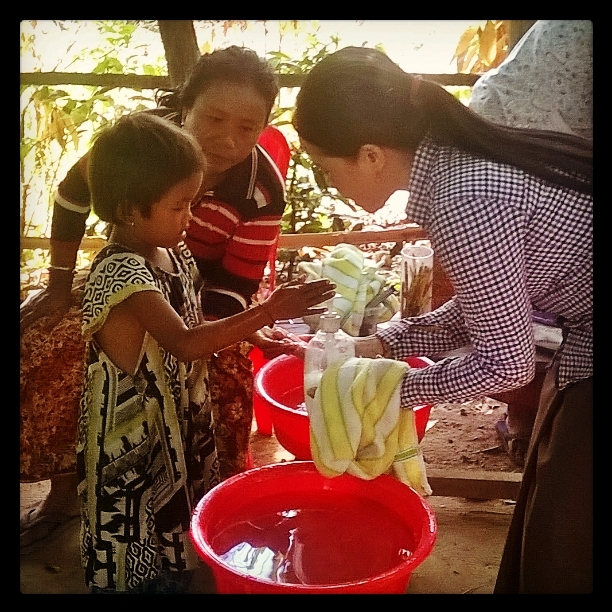 Srey K will form part of the tailoring team making Helping Hands’ school uniforms every year. Srey K has been cycling every day to study in Siem Reap. This is a 2 hour cycle ride and she has been worried that she won’t be able to access the course during rainy season, which is fast approaching. Thanks to our partnership with another charitable organisation in town, Srey K has been offered supported housing in a female-only dorm, which also provides her with extra education in Khmer, English, computing and life skills during her free time. Her family are fully in support of this. 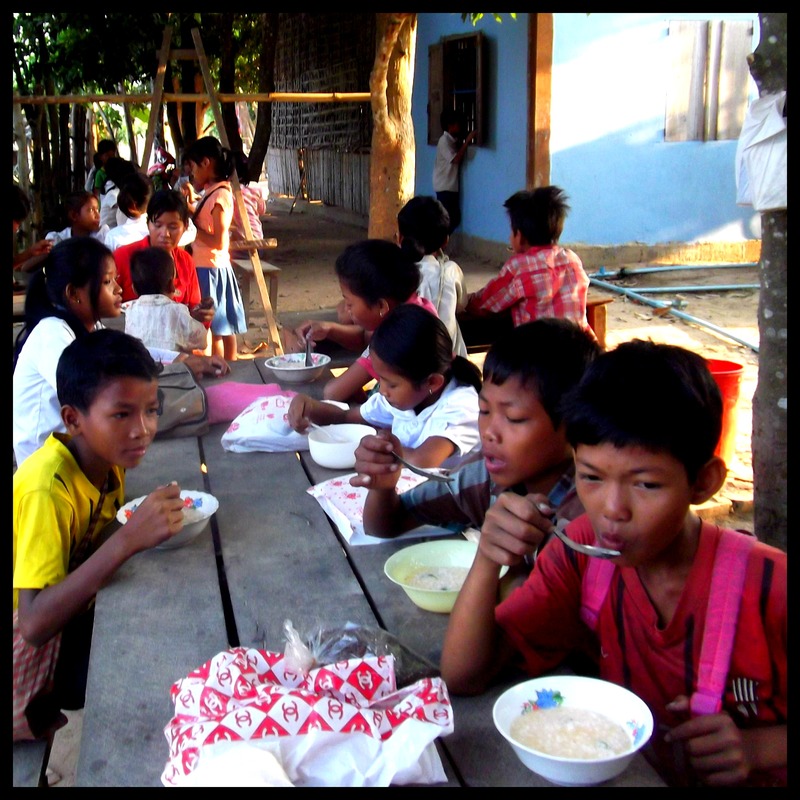 Helping Hands Cambodia needs to support Srey K to stay in town by offering a small daily ration. The cost of her stay at the supported house is covered already except for the meal allowance, $70 per month or $350 for the remaining 5 months of her course. This allows our student to focus 100% on her studies without feeling the pressure to drop out and earn money to support herself again. This is an incredible opportunity for our student and, crucially, this is a skill that she can bring back to the community afterwards and continue to develop. She has a strong future ahead of her and her commitment (cycling 2 hours one-way in hot sun or early rains) has already been impressive. The village road to Siem Reap in rainy season is dangerous. Many workers and students cannot access the city during this time. We need one sponsor to cover these core costs, $350, to ensure Srey K can commit 100% to this opportunity which she has chosen for herself. Please email helping.hands@globalteer.org if you can help. 2015 so far: Hospitals, Breakfasts and Role Models. Health: Since August 2014 we’ve visited hospital 41 times with children and their parents, and in the last 3 months alone (Feb, March, April) we’ve treated 63 first aid cases on-site. We’ve taught our kindergarteners the basics of hand washing, food health and body health. For our older students they’ve experimented in the garden in order to learn about food health – they grew rocket lettuce with seeds kindly donated by a volunteer. The physical health of our students, and their understanding of what being healthy means, continues to increase. Handwashing practice for our youngest students at Helping Hands. Breakfast: This year we’ve boosted our breakfast program! Our new and improved menu features plenty of veg mixed with pork, egg or fish and Cambodian rice. In the last 2 months (March-April) we’ve harvested pumpkin, morning glory, cucumber, chilli, basil, coriander, rocket and pak choi from our on-site garden, saving us lots of money and improving the nutritional impact of our breakfast. Each student also has a cup and access to our two water filters to ensure they drink plenty of clean water. Breakfast time at Helping Hands. Opportunities: This year so far has been all about exposing our students to more tools to build their confidence, self-esteem and learning. We have hosted incredible Khmer artists, motivational international sports stars and a host of hard-working volunteers to help inspire our students. These extra-curricula activities expose the students to new potential role models, helping them think about what they want to be when they graduate from us. A big thank you to everyone who has been involved! 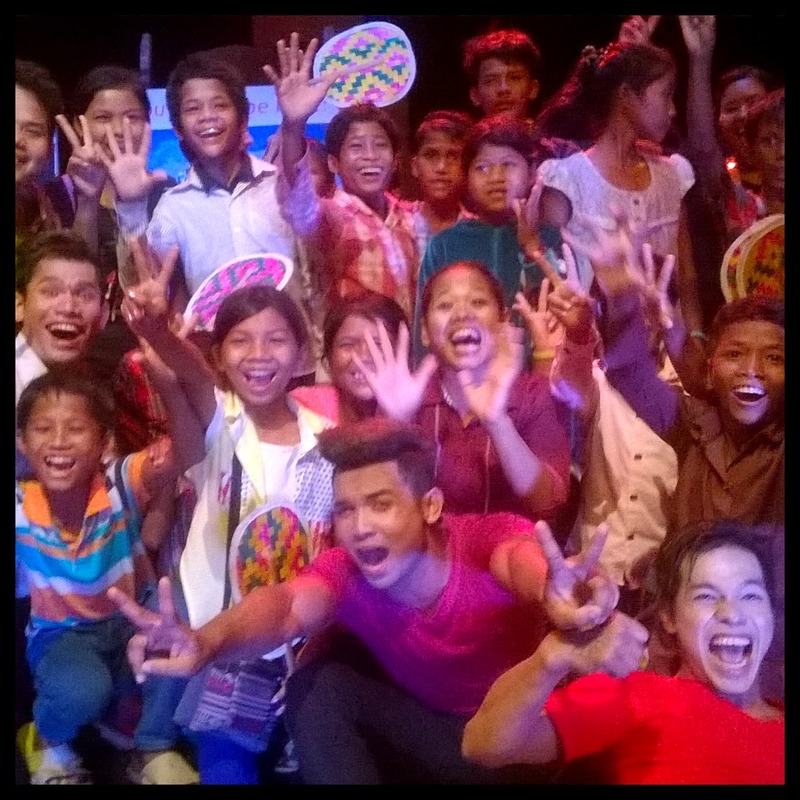 Students with performers at Phare Circus, Siem Reap.